Product prices and availability are accurate as of 2019-04-21 10:51:23 BST and are subject to change. Any price and availability information displayed on http://www.amazon.com/ at the time of purchase will apply to the purchase of this product. 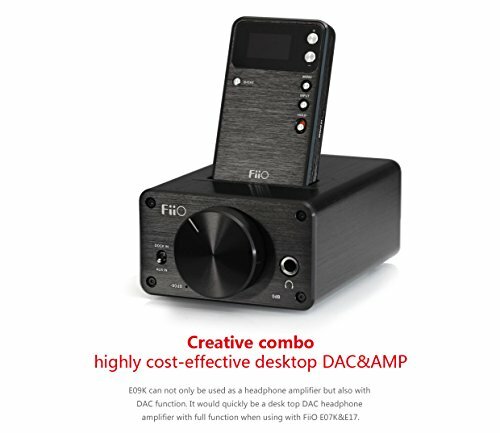 The Fiio E09K Desktop Headphone Amplifier with E17 Dock In is created to work with the Fiio E17 USB DAC Headphone Amplifier and USB soundcard. 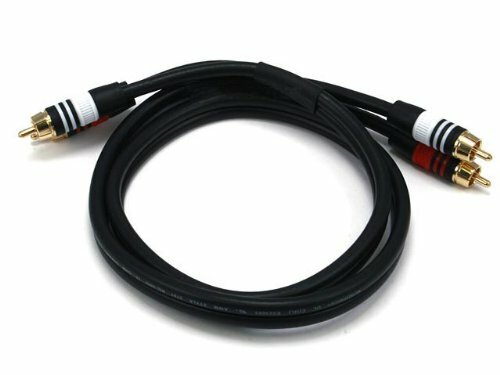 It showcases dual-channel power outputs for both 1/4" and 1/8" headset plugs, in addition to an extra RCA L/R audio output, USB user interface and line input. The amplifier showcases a Texas Instruments primary power amp integrated circuit with a low noise level, low distortion and a high conversion rate. The E09K is smartly created with an E17 dock for using the line out signal from the Fiio E17 docking port. This provides much better sound quality and makes the amp able to drive high impedance or low sensitivity earphones-- providing you the clarity and punch to make your music sound alive and dynamic. Plus, it lets you charge and sync the E17 with your computer system also. The E09K even has a Low/High gain section switch, LED power indicator and a built-in power converter to meet the demands of high vibrant signal processing. 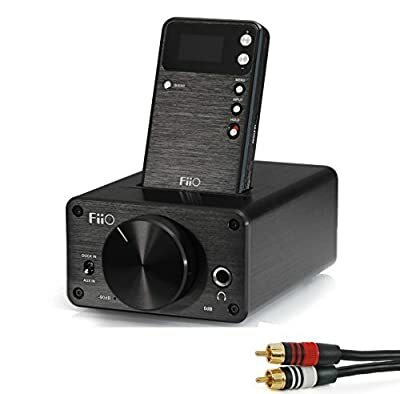 Based on the Fiio E9, this updated variation allows for synchronously working for power supply and turn on/off. When using with E17, it only needs to turn on/off E09K, and E17 will certainly turn on/off at the same time. When picking AUX IN and DOCK IN signal of E09K, there is no need to get DOCK from E17, you simply need to adjust the switch. The EO9K showcases reliable, resilient RCA gold-plated terminals rather than 3.5 mm ports. 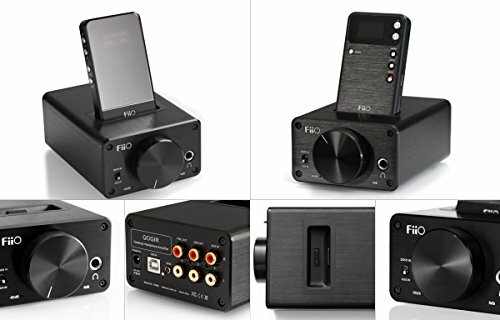 Besides these updates, there is no tone quality difference in between Fiio's E09K and earlier E9.